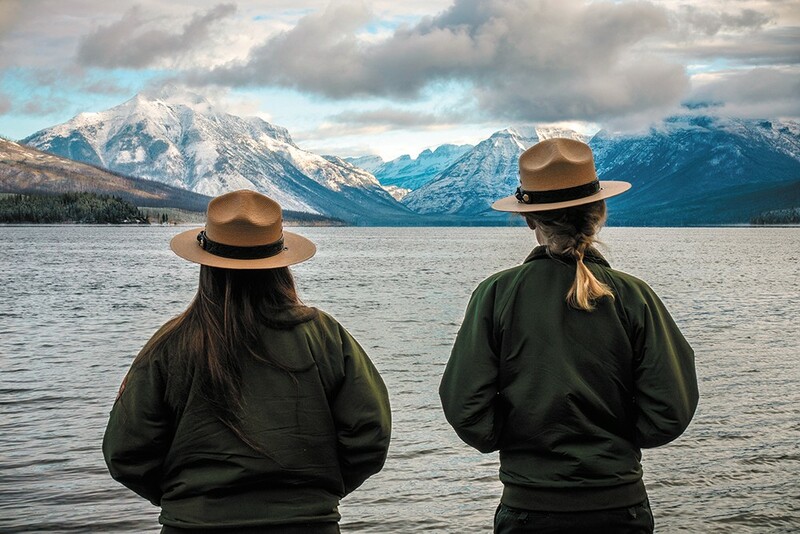 So far, Glacier National Park has escaped the worst of the partial government shutdown. With the federal government partially shut down for the third week, politicians in the nation's capital were bracing for a high-stakes showdown. President Donald Trump planned an Oval Office address Tuesday night outlining the need for a border wall. Democrats, meanwhile, were pushing back, with even more leverage now that they took control of the House last week. But with all the political posturing, many wondered: what would be the real cost to Americans if federal funding continued to be used as a bargaining chip? Since Dec. 22, roughly 800,000 federal employees have either stayed home on furlough, or gone to work with no idea when they might finally get paid. It looked likely many wouldn't receive their Jan. 11 paychecks, and that, financial experts and union leaders warned in national interviews, could mark the beginning of evictions, missed car payments and other serious financial hurdles for those who make the federal government run. That's not to forget that those agencies serve others, and negative impacts have already become evident. Some national parks left open and largely unstaffed have seen overflowing toilets, illegal off-roading and other damage. At some airports, Transportation Security Administration workers who are required to work without pay were calling in sick in larger numbers than usual, CNN reported. It was unclear whether the Internal Revenue Service would be able to hand out tax returns just as tax season started gearing up, and service providers warned that millions of people who receive government assistance for food and housing could be at risk of hunger or eviction if things go on much longer. The demand holding everything up? President Trump wants at least $5 billion for a border wall. Until then, he says he won't fund the federal agencies that haven't already received 2019 funding. While some key programs like Social Security and Medicaid/Medicare won't be affected during the political standoff, major disruptions could be imminent, as Trump has made it clear during negotiations he's willing to make this shutdown last "months or even years." "Foremost in my mind is just the uncertainty of when the shutdown will end," says Rodney Cawston, chairman of the Confederated Tribes of the Colville Reservation, "and where will we be at with operating a lot of programs that are critical to our people and to our tribe and to our communities?" Like many other American Indian nations around the country, the Colville Tribes' government receives federal money to self-manage programs that benefit members and in some cases, nonmembers. Nearly 1,400 people, including nonmembers, work for the tribe, which operates its offices on a 1.4-million acre reservation in north-central Washington. At least two health clinics in Inchelium and Keller that the tribe operates aren't fully funded right now, Cawston says. The Indian Health Service (IHS) "continues to provide direct clinical health care services as well as referrals for contracted services that cannot be provided through IHS clinics," writes Asha Petoskey, special assistant to the director of the Portland area IHS, by email. But many administrative tasks are impacted, and IHS is "unable to provide the majority of funds to tribes and Urban Indian Health programs," according to the Department of Health and Human Services' contingency staffing plan for 2019. Still, things weren't dire yet when Cawston spoke with the Inlander on Jan. 3. But that's largely because the tribes had already received some of the 2019 federal appropriations. 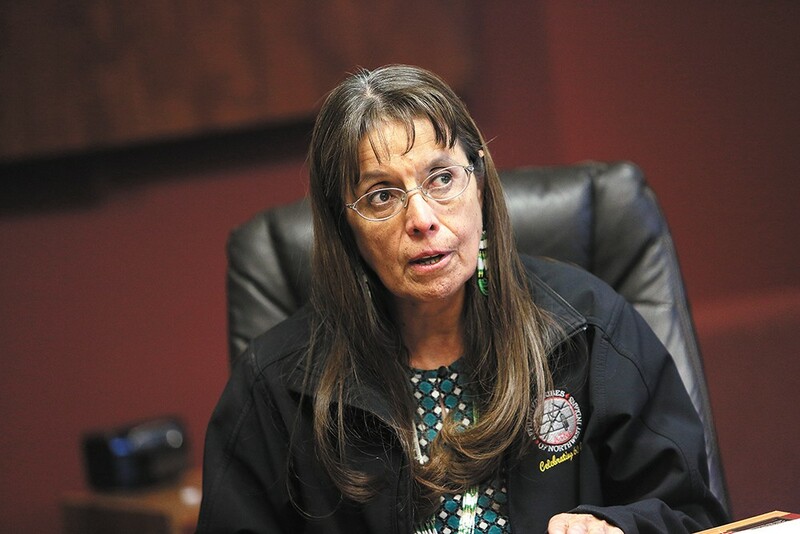 So far, the shutdown's impacts on the Spokane Tribe of Indians have been minimal, Chairwoman Carol Evans says. But the New York Times reported that some tribes have already had to approve stop-gap funding, including "one tribe of Chippewa Indians in Michigan's Upper Peninsula" that's using its own money to cover "about $100,000, every day, of federal money that does not arrive to keep health clinics staffed, food pantry shelves full and employees paid." When the money runs out for the Colville Tribes at the end of March, there could be a loss of more than $1.5 million every week in federal assistance, and another roughly $400,000 or so per week in timber sales on the reservation. "There's going to be some hard decisions we may be forced into making if this government shutdown doesn't end soon," Cawston says. "It's not just our tribe and our members, it's everybody in our communities that's going to feel these impacts. ... We are some of the most economically disadvantaged counties in the state of Washington." The tribe provides services like snow plowing, education, health care, utility assistance, and more. It could all be impacted, Cawston says, for a border wall, a marker of boundaries that didn't exist for many indigenous people on either side of the border. "In Mexico as well as along the Canadian border are people [for whom] those international boundaries weren't our boundaries," Cawston says. "Native America extends all the way from Mexico up into Canada. When you look at that historically and today, many of those tribes were dissected by that border, but the relationship still exists. That wall will only be a further deterrent to tribes, impacting their relationship with our people." A prolonged shutdown could also impact food and housing assistance. Food assistance under the Supplemental Nutrition Assistance Program (SNAP) could run out in mid-February, short of action to use reserves outside of what's already been allotted to the USDA, Politico reports; federal housing vouchers should be payable through February, but beyond that it's uncertain, according to the National Low Income Housing Coalition, which advocates for affordable housing. Luckily, Glacier National Park hasn't been experiencing problems like those plaguing parks in warmer climates, says Doug Mitchell, executive director of the Glacier National Park Conservancy, which helps raise money for the park and operates its own visitor center that is still open during the shutdown. "Most of where you could go before the shutdown is still open after the shutdown," Mitchell says. "We have told the park we're at the ready if they need additional port-a-potties or pit toilets cleaned out, so the park can have health and safety issues dealt with." But if the shutdown stretches into the warmer months, when Glacier sees most of its visitors, that could change. The original print version of this article was headlined "On the Brink"